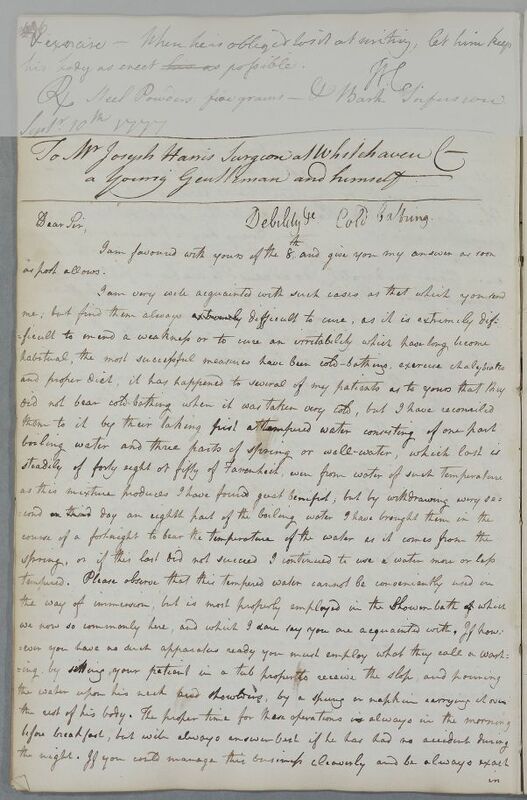 Reply headed 'To Mr Joseph Harris Surgeon at Whitehaven C – a Young Gentleman and himself.'. Mentions the use of a shower-bath. Summary Reply headed 'To Mr Joseph Harris Surgeon at Whitehaven C – a Young Gentleman and himself.'. Mentions the use of a shower-bath. Case of the surgeon Mr Joseph Harris who is suffering from headaches. 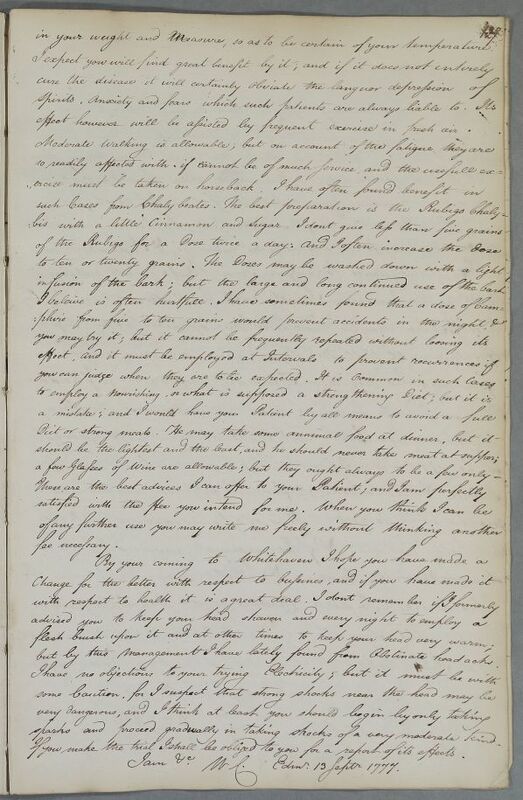 Case of Mr Thomas Bushby who is given detailed advice on cold bathing. a Young Gentleman and himself. effect however will be assisted by frequent exercise in fresh air. but by this management I have lately found 1 fromObstinate headachs. sparks and proceed gradually in taking shocks of a very moderate kind. If you make the trial I shall be obliged to you for a report of its effects. 1: The word "relief" seems to have been overlooked by the copyist at this point.